Goodbye 2013 and Welcome 2014. Hi everyone. It’s upon us again, New Years Eve. I hope you all have a great night and a fantastic new year. Take it easy tonight and don’t drink too much. Gingernut Books have added a new section to their site called ‘Amazon Shop’ where they add cover image links to the Amazon product page of their books, by their very own authors or authors they love. I feel privileged enough to feature on the ‘authors we love’ side of the Amazon shop with my book Endurance. 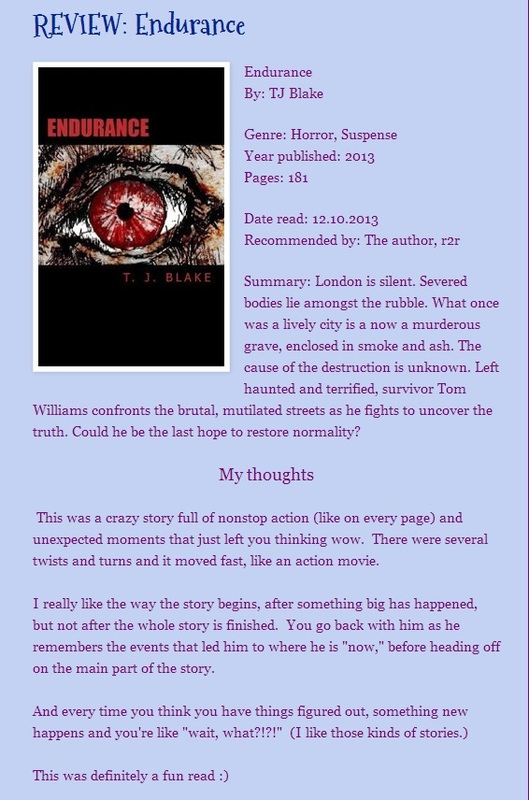 Why not have a look at Amazon Shop and Ginernut Books LTD for their services and their authors and books. 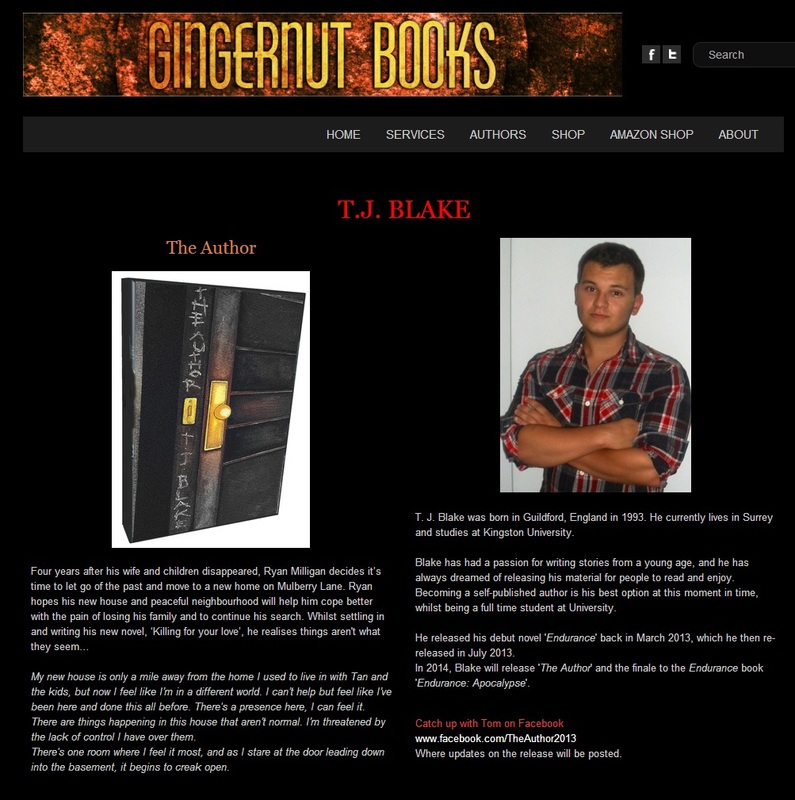 The Author (Coming January 1st) and myself are on Gingernut Books’ website. 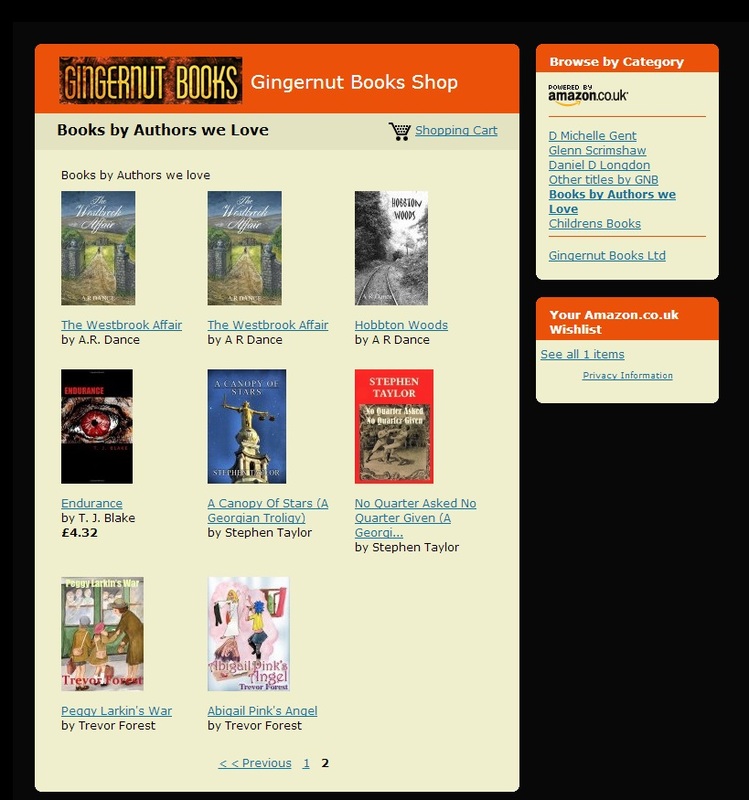 Gingernut are an established independent publishing company in the UK. It is great to be on the site so thank you to them! If you are a writer then why not check them out, they offer great services. Happy Christmas!! I hope you all have a wonderful day. 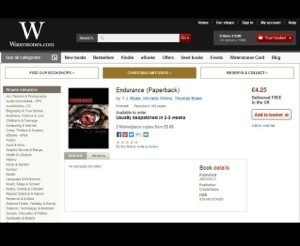 I was left surprised last night, It was a nice surprise however; finding my book Endurance on the Waterstones website. Visit http://the-gal-in-the-blue-mask.blogspot.co.uk/2013/12/endurance.html to read the brilliant review that Endurance got. 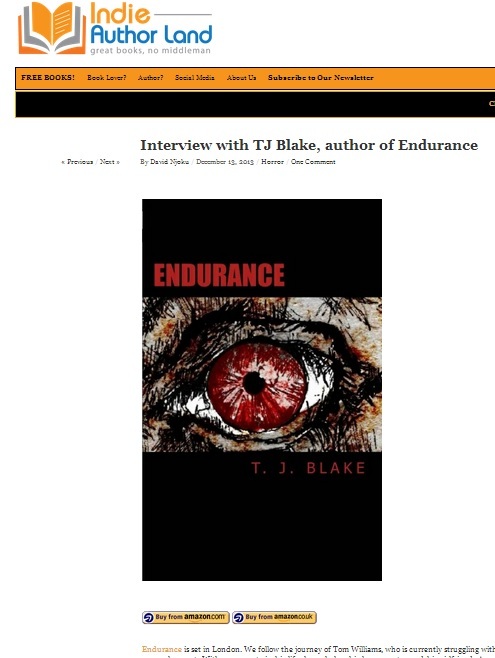 Endurance is available on Amazon on eBook and paperback! Okay here is your CHRISTMAS deal.. This is the post about Bookshelf’s new flashfiction edition to Maurice’s blog. A new book containing a compilation of short stories, written by a number of authors for the bookshelf flash fiction page, will be released in the new year, which will have my piece ‘The Metaphorical Truth?’ in it. Endurance was #3 on Amazon’s FREE Horror, Suspense chart. Thank you to everyone who downloaded Endurance, I hope you enjoying/ed it. 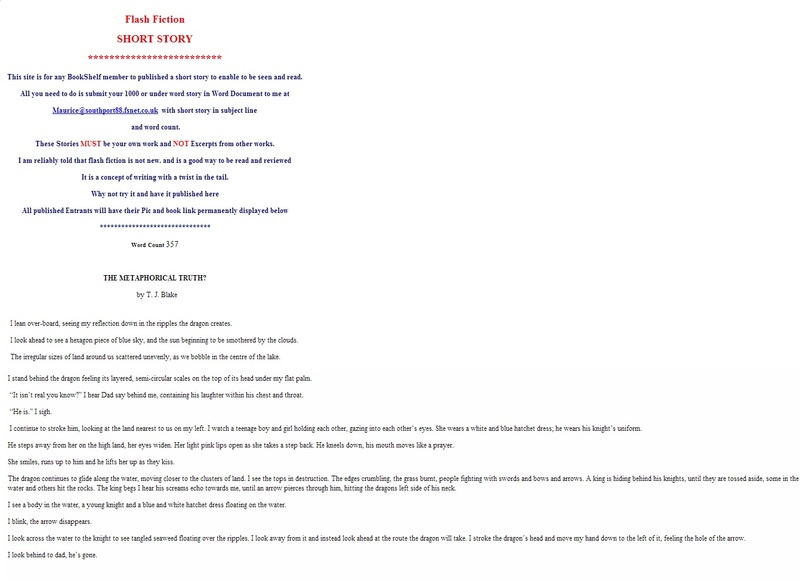 My short 350 word story ‘The Metaphorical Truth?’ has been featured on Maurice Tudor’s BookShelf Short story page. The site is for any BookShelf member. So check it out, join the site and then have a go yourself. Posted in Other Writing, Random PostsTagged author feature, feature, flash fiction, short story, T. J. Blake, The Metaphorical Truth?